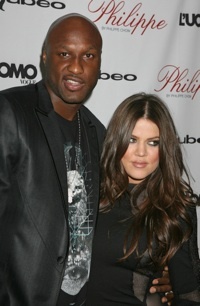 Khloe Kardashian and fake hubby Lamar Odom have struck a deal on their postup agreement. the Los Angeles Lakers’ cash. Why have the wedding at all until then? Because the party was being filmed for the Kardashian reality show empire, and schedules would not allow the event to be pushed back. divorces, meaning she definitely would not get half. Khloe will receive an annual lump sum of an as-of-yet undisclosed amount. In addition, Lamar will fund the couple’s joint account and purchase a big, huge house for them: $5 million, minimum. The papers have not yet been signed, but supposedly Khloe and Lamar are done with their negotiations and will ink the deal sometime this week. Then will they head to the courthouse and legalize this thing? And more importantly, will it be featured on Khloe’s show?